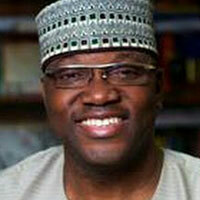 Channels TV chairman and CEO John Momoh has stepped down from his position as chairman of the Broadcasting Organisations of Nigeria (BON). The news was revealed by Godfrey Ohuabunwa during the presidential debate organised by the BON and the Nigeria Elections Debate Group on January 19. Ohuabunwa is currently the organisation’s acting chairman. “I want to let you know that John Momoh has just left as the chairman of BON and I am the newest chairman of BON,” Ohuabunwa said. Momoh, an alumnus of University of Lagos, Lagos Business School and Harvard Business School, founded Channels TV in 1995. He was elected BON chairman in 2016. In June 2013 he received the Lagos Business School’s Distinguished Alumni Award.